If you’re feeling miserable after a week full of horrifying news, you’re not alone. Why not distract yourself a little by watching people play video games? 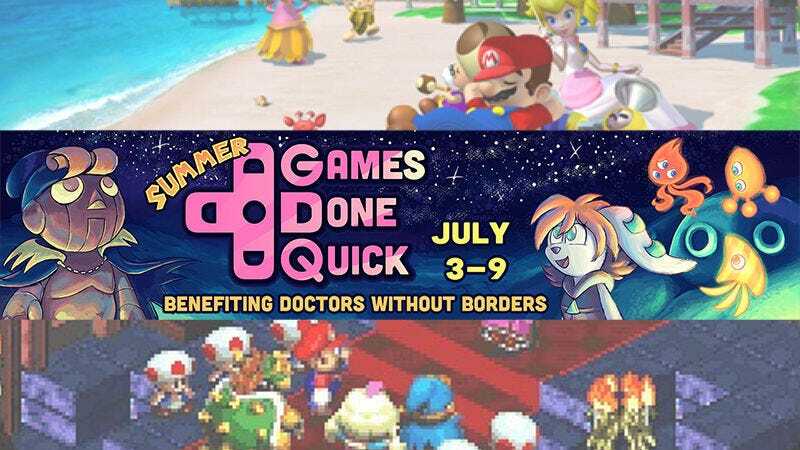 The Summer Games Done Quick speedrunning marathon has been going on since Sunday, and it’s been a lot of fun to watch. The quality of both play and commentary has been consistently great, and I imagine that’ll continue throughout today (as we enter the big Mario and Mega Man blocks) and tomorrow (thanks to TASbot, FFVI, and Super Metroid). Just stay away from Twitch chat.